The hips and ridges are critical intersections of all roofs that require careful weather blocking, but can also be used for ventilating a breathable roof system to last longer and perform better. Boral Roofing has the best hip and ridge products available to prevent wind-driven rain, snow and other debris from entering the peaks and corners of a roof. Some of these specialized products also provide ventilation to allow the roof system and attic space to breathe for improved energy efficiency and a longer life span for the entire roof system. 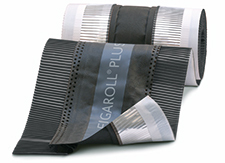 Figaroll® Plus from Boral Roofing offers a cost effective universal ridge vent and weather block that is quick and easy to install for any tile roof. Zephyr Roll® from Boral Roofing is a cost effective rollable ridge vent with adhesive strips that form a weather block. 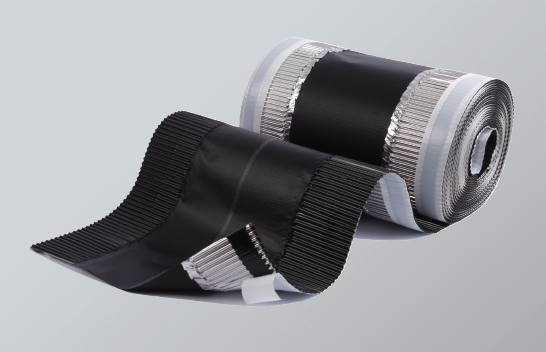 Available in two sizes to help reduce the amount of field vents on your project. Zephyr Block™ from Boral Roofing is a flexable, rollable universal weather block that helps reduce labor costs and time. The Boral™ Hip & Ridge Block side strips are made of corrugated aluminum that can expand and mold to various tile profiles. Trim Lock™ Hip & Ridge Metals the only hip and ridge system with interlocking bond with foam adhesive giving it the highest uplift values of any system. 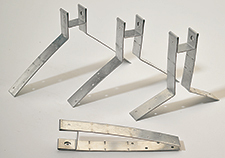 Ridge Riser® Brackets use a common 2" x 2" nailer on all tile profiles to reduce lumber costs and eliminate multiple sizes of ridge boards, elevating the ridge tile to enhance ridge ventilation.